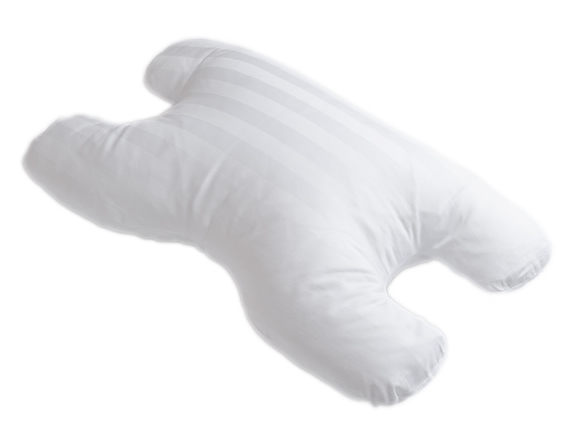 Similar to the Memory Foam CPAP Pillow, this pillow was designed specifically to give exceptional support and comfort when wearing CPAP masks. The unique cut-outs help reduce mask leaks which allows the CPAP user to gain the full benefit of their therapy. 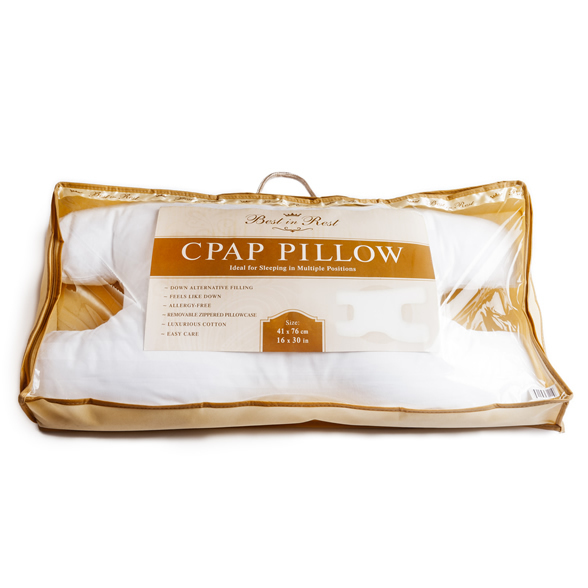 This is a luxurious down alternative pillow for CPAP users who prefer a soft option rather than the firmness of the Memory Foam CPAP pillow. Ideal for sleeping in multiple positions. Specifically made to encourage easier breathing by alleviating pressure from your mask to continuously give a deep relaxing sleep.